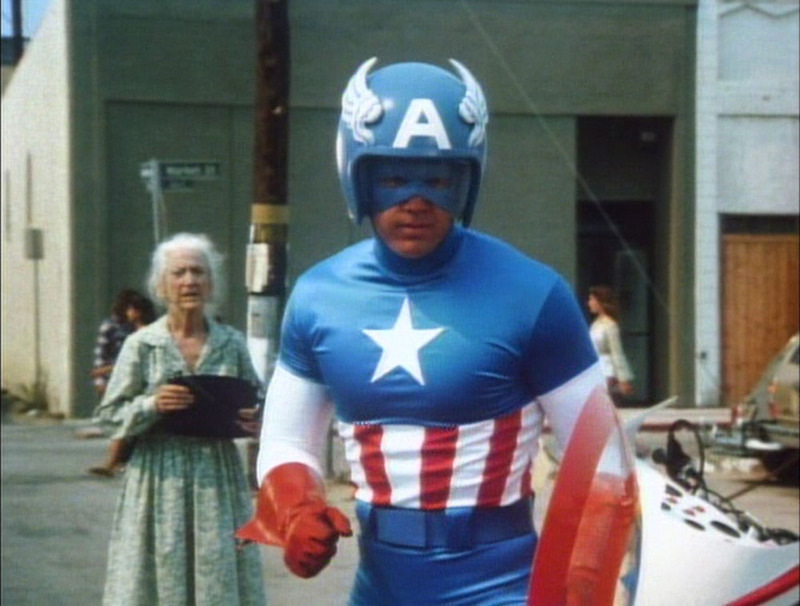 Captain America was a 1979 TV movie starring Reb Brown, known for his roles in Yor and Space Mutiny, as Steve Rogers. Steve is a former Marine turned drifter artist, hoping to travel along the California coast line in his van. He receives a telegram from Simon, played by Len Birman, who wants to talk to Steve about his father’s research. The Full Latent Ability Gain, or FLAG, is a serum that can maximize the human body’s potential. FLAG has a drawback; the serum causes cells to degenerate faster, leading to death. 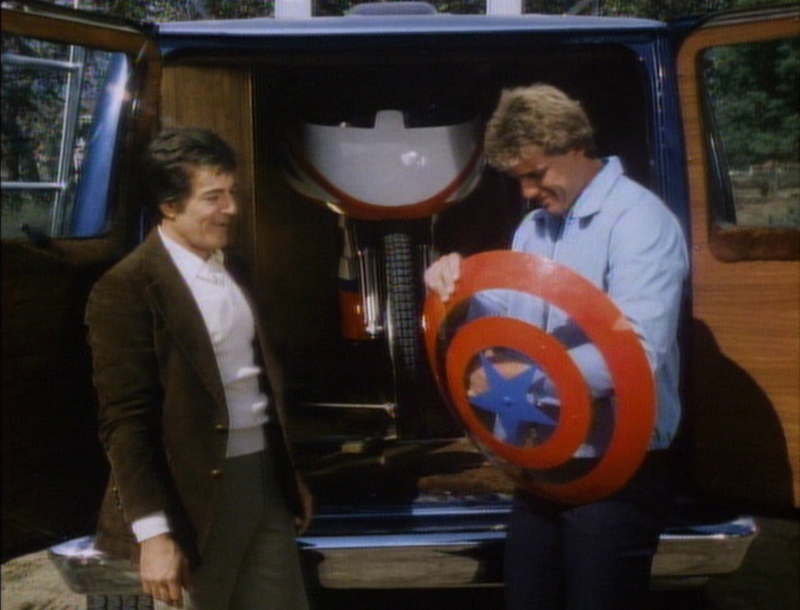 Steve declines the offer to test the FLAG serum on himself. and heads out. 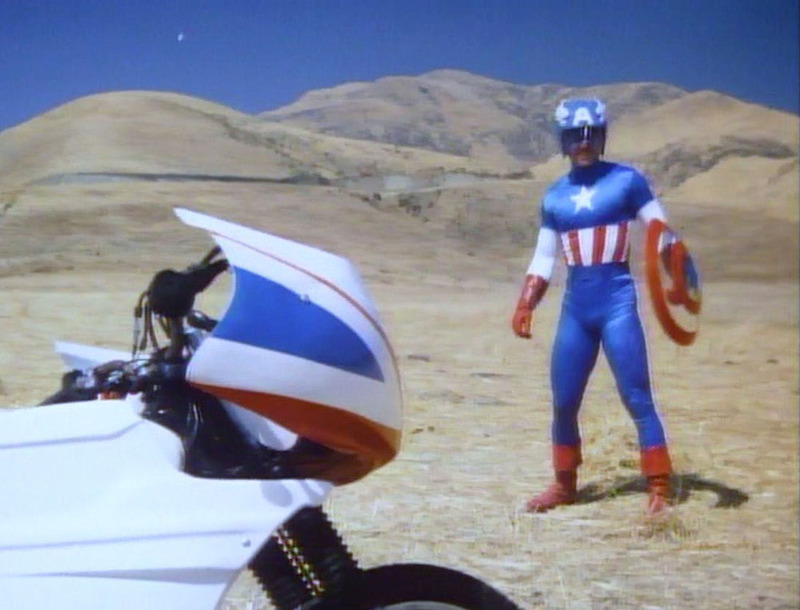 A second made-for-TV movie, Captain America II: Death Too Soon, followed, with Reb Brown back as Cap and Christopher Lee as the terrorist, Miguel. Miguel holds a town in check with a virus that causes rapid aging. Unless paid or unless Cap can stop him, Miguel plans to gas a city and withhold the antidote, letting the city die of old age in hours. 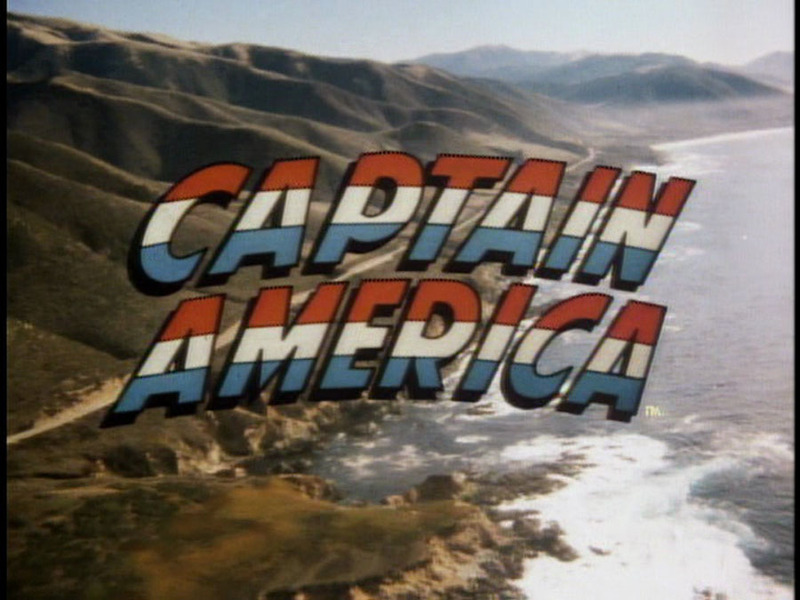 The TV movies take liberties with Cap’s background. Captain America: The First Avenger shows the origins well, with Steve Rogers volunteering for a super soldier program and gaining super abilities as a result, and only being frozen after a fight against the Red Skull. In the comics, Cap is found by Namor, is thawed, and becomes one of the founders of the Avengers. That is a lot of backstory to fit into a two-hour TV movie, so the change to a former Marine makes some sense. Steve became an artist once thawed out, so that part is accurate. 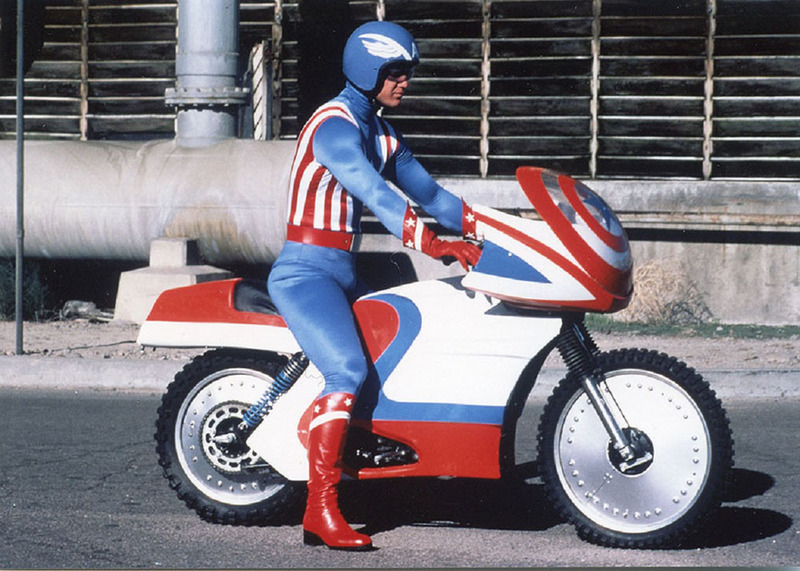 In 1972, thanks to the Watergate scandal, Steve gives up the role of Cap out of disgust with the government and becomes Nomad, a wandering hero. That storyline, though, only lasted a year. The change to California is explained by keeping costs down; the studio was based in the state.